Every car, truck, and SUV in all the car dealerships in the Lakewood area has just a handful of things in common. One is that they all have a sound system. A new owner could use a vehicle’s sound system for many things, such as listening to the radio, tuning in to a talk show, to hear an audio book being read, or even to sync with a mobile phone. Have a new sound system installed. Obviously the most expensive option, there is a wide range of prices out there, so you’ll be able to get a sound system that fits your needs and your budget. Invest in speakers. A less expensive option is to replace the factory-installed speakers with high-end speakers made of better materials. They will produce a better sound quality and will be less likely to break from normal use. Install an amplifier. An option whether you buy a new sound system, just new speakers or keep the old system entirely, an amplifier boosts the amount of electricity sent to the sound system, helping it to sound better. Adjust the tuners. 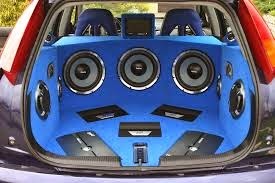 If you have absolutely $0 to spend on improving your car’s sound system, you can always adjust aspects like the volume, bass, treble and speaker fade to find the best combination for what you are listening to. If you live in the Lakewood area, turn to car dealerships you can trust for the best information on care, maintenance, and used car improvements. Visit the Olympia Auto Mall for all your new and used car needs.